The lush green countryside of the Kaikoura Peninsula leads towards scenic mountains of the Kaikoura Range on the South Island of New Zealand. 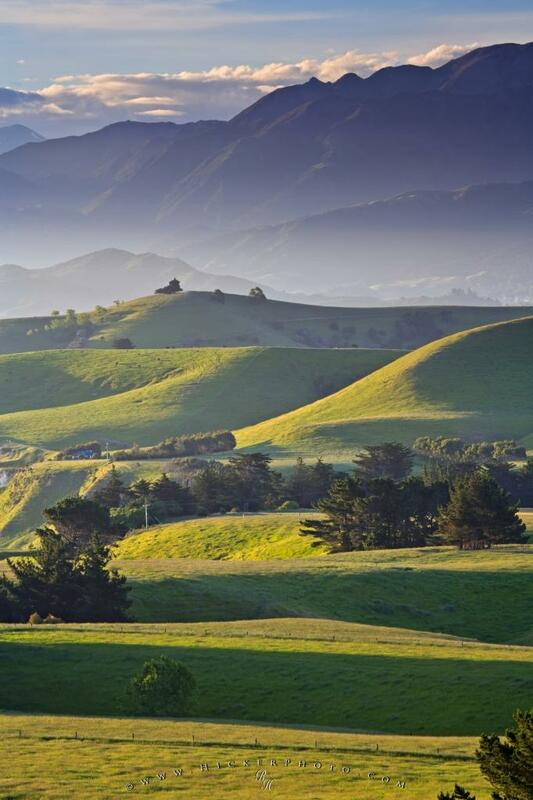 Undulating countryside carpeted in lush green grass are bathed in the afternoon sun on the scenic Kaikoura Peninsula in the South Island of New Zealand. This scenic view is taken from along Scarborough Street on the Kaikoura Peninsula and shows the countryside backdropped by the mountains of the Kaikoura Range. Be sure to visit our other galleries of New Zealand Landscape and New Zealand Attractions. Green countryside on the Kaikoura Peninsula seen from the lookout point along Scarborough Street, Kaikoura, East Coast, South Island, New Zealand. Scarborough Street on Kaikoura Peninsula, New Zealand.